When you are in the market for a Certified Pre-Owned vehicle, you should check out what DePaula Chevy has to offer. Our award-winning sales, finance and customer teams are carefully trained and poised to make sure that your car buying experience is seamless and worry-free. Our expert sales team will sit down with you to carefully evaluate your lifestyle and automotive needs. Then you may peruse our lot consisting of many acres of quality vehicles to determine the best fit for a Certified Pre-Owned vehicle to suit your lifestyle, needs, and budget. Our expert Finance Team will carefully evaluate your credit needs to help determine the best financing option for your credit and budget. These carefully coordinated efforts strive to make DePaula Chevy your “one-stop” option when purchasing a Certified Pre-Owned vehicle. We have many options available on our lot which contains a massive inventory of only the best quality Certified Pre-Owned cars. Below are just a few benefits of purchasing a Certified Pre-Owned Car from DePaula. We have a wide variety to suit just about every taste, lifestyle, and budget. Check out our inventory and prices for our massive inventory, as well as the choices we available for each potential DePaula Chevy buyer on our website or in-person at our dealership. Whether you are looking for a small and sporty coupe or a large work truck, we have the best assortment of Certified Pre-Owned Cars that have been carefully chosen for quality and price. In addition, each of our Certified Pre-Owned Cars undergoes a thorough 172-point inspection to qualify for this top of the line Pre-Owned Car status. Your satisfaction is our top priority and we want to be certain that whatever your lifestyle and needs are we are able to accommodate you with a top of the line choice. 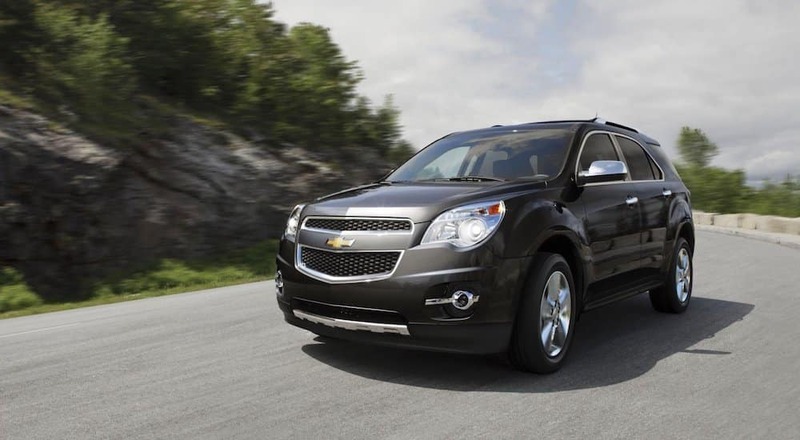 A Certified Pre-Owned Car from DePaula Chevy, must undergo a thorough inspection and meet stringent qualifications. Each of these vehicles have undergone and passed a 172-point inspection and have had a fresh oil change. In addition to the stringent inspection, we receive a Carfax report, which is a history of each vehicle and we make this available to you to help you in your automotive purchasing decision. To be called a Certified Pre-Owned vehicle means that you are choosing from the top tier of pre-owned cars available. We do this to ensure that you are only shown quality at a quality price and that you will be satisfied with whatever choice you make when choosing a Certified Pre-Owned car. All of these vehicles will qualify for extended Service Contracts with our outstanding Customer Service department. Limited Warranty – Every Certified Pre-Owned vehicle has a bumper to bumper limited warranty. Check out your warranty for specific terms. No Warranty Deductibl – There is no deductible on the warranty provided, which means that if anything goes wrong with the vehicle that is covered under warranty, you do not have to pay a single dollar. Powertrain Limited Warranty – Every Certified Pre-Owned vehicle has a Powertrain Limited Warranty that is easily transferable from the previous owner to the new owner. 3 Day/150 Mile Vehicle Exchange – If you find that after driving your newly purchased vehicle that it is not the “match” that you had hoped it would be, you have the option to exchange it, as long as it is within 3 days or 150 miles. This is an excellent option for those who might be “sold” on two vehicles and simply can’t make a choice between the two. Our finance team are experts when it comes to making your vehicle purchase a pain-free experience where you are able to obtain the car you have carefully chosen, for the best price and financing that will fit your needs and lifestyle. We are pleased to offer many options for financing. Whether you would like to take advantage of our No Obligation Car Loan, which means that we hunt to find you the best interest rate, even if your bank has already approved you, or if this is your first time buying a car and need a little guidance. Our options for financing are unparalleled and this translates into an option for financing for every need. “DePaula Chevrolet has an efficiently run service department, and I have been extremely impressed and pleased with my first two visits, I choose to drive over 50 miles to use DePaula instead of 3 much closer Chevrolet dealerships because of the wonderful serve I have received. My service adviser was Michael (green team” and he is a true professional.” – Linda S.
“I needed an oil change and my car inspected. They noticed my tires were balding and the bars were showing on three of the treads so it would not pass inspection. They were great in offering advice on which tires to purchase and steered me in the right direction. They have always been excellent in their service and repairs. Today was interesting and nice because I was allowed to go into the bay and see the car on the lift. They also had a video experience I could click on and see them doing the inspection on my car. VERY COOL. I didn’t actually watch, but DePaula is always on the “up-n-up” when it comes to technology and offering the best for their customers.” – Christopher S.
Choose DePaula Chevy for Your Next Certified Pre-Owned Vehicle! Become a member of the DePaula Chevrolet family when you purchase Certified Pre-Owned Cars and experience the benefits of what it means to be a member of our family. We believe that family is a priority and strive to make sure that you are satisfied with your purchase, as we hope to have you as a member for many years to come!